At Conroy Custom Homes Ltd (CCH), it is our experience that project success comes from careful and meticulous front-end planning. Having precise plans and specifications ensures both client and contractor have a great understanding of the work that is to be completed. This understanding is the first step in building trust between the two parties and ensures that the client is 100% satisfied and reassured they will receive the product they’ve envisioned. 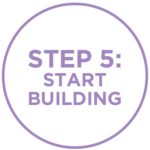 Our Design Build Process is made up of 5 Phases. 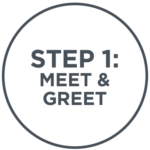 The goal of this meeting is to discuss budget and get an idea of your vision for the space. Typically, the meeting is held on site so we can see the space, as well as take measurements and photos to allow us to begin building a budget and proposal. We feel it is very important to get an idea of your needs, wants and priorities for the renovation so we can deliver the maximum value for you the client. 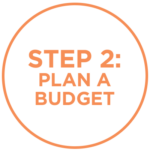 Based on information gathered both on-site as well as through conversation with the client, we will provide preliminary budget pricing. The budget pricing will include line item pricing, a description of work included in the budget as well as finishes allowance to act as a guide line for actual selections. Working closely with you the client, we will put together detailed drawings and specifications for the project. These drawings and specifications will be based off the approved preliminary budget and will reflect any changes that need to be made to make sure that your expectations and budget are met. 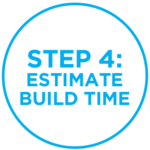 Once the drawings and specifications are complete we will put together a more accurate estimate for the project as well as build a schedule/timeline for construction of the project. With approved plans and specifications, estimate and schedule we can then begin construction. 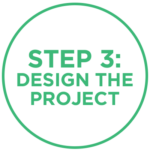 The design phases (phase 1-4) of the design build process will typically take between 6 and 8 weeks depending on size of the job. The initial meeting and budget pricing phase of the process is a complementary service offered by CCH. Upon approval of the budget pricing and proposed plan (phase 2), CCH requires a signed letter of intent as well as a deposit before moving forward to the actual design and drafting. The size of the deposit varies depending on the size of the project and is used to cover any costs incurred by CCH during the design phase of the project. The deposit will be a credit to the cost of construction once construction begins.